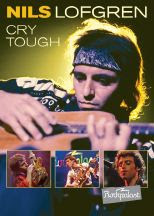 A kaleidoscopic view of his success as a solo artist, this DVD captures three performances from different stages in Lofgren’s career. With more than four hours of footage and 35 tracks deep, it showcases Nils stepping out into the spotlight on his own. Lofgren, formerly of the E Street Band and Neil Young’s Crazy Horse, wowed this crowd with his unfettered six-string talent, charismatic stage presence, moving songs, and impressive showmanship. Disc 1 features his 1991 performance, when Lofgren returned from a stint with the E Street Band with his 1991 album Silver Lining (Ryco). Disc 2 backtracks to his earlier days playing solo, with sets from 1976, just after the release of his critically-acclaimed solo debut, and 1979. In addition to this latest release, Eagle Rock has recently released Rockpalast titles from Joan Armatrading, Thin Lizzy, Meat Loaf, and UB40. 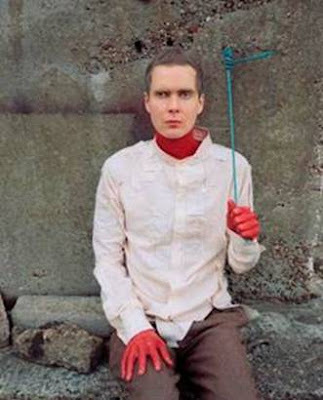 Following his incredible North American spring tour for his album, Go, Sigur Rós front man Jónsi has announced his second and final set of U.S. dates for this album. With an exclusive pre-sale on jonsi.com from now to Friday, July 30, this is the last chance for American fans to see what the Boston Globe has described as "nothing short of a revelation from start to stop." Jónsi’s recent North American tour was met with an outpouring of enthusiastic praise from media and fans alike. He played material from his gorgeous recent release, Go (out now on XL Recordings), which received glowing reviews upon its release earlier this year. Jónsi’s collaboration with 59 Productions, a London-based design team known for their incredible stage shows for theatre and opera, has created a live experience that is truly like no other, complementing the album’s innate beauty and complexity. The combination of lighting, animation and set elements transform Jónsi’s music, making the live experience truly unique for the audience. The show is full of nature motifs, ranging from animals and insects to fire and rain, all of which serve to intensify the show’s emotional resonance. Check out the list of dates below to see what everyone is talking about. Presale is going on now! "This Icelandic singer-songwriter’s solo album go is already one of my favorites this year, and the chance to see him showcase cuts off the newly-released nine-song disc drew me to the Outdoor Theatre early on Sunday. My expectations were high, yet the Sigur Rós frontman’s potent set exceeded them handily. When Jónsi (above) closed with an extended and emotive “Grow Till Tall,” it was as if the desert sky had been shattered by his tenor voice soaring high into falsetto amidst the layered backdrop of percussion, keyboards and other instruments. One of the most original artists of the modern rock era, his blend of world music, rock, classical and experimentation continues to challenge, thrill and touch listeners on levels that defy most writers (this one included) to adequately convey it in words. If you haven’t seen Sigur Rós or Jónsi, please do — it’s a must." — my review of Jonsi's performance at Coachella 2010 published in the Orange County Register on April 20, 2010. Last night, I caught Fran Healy (of Travis fame) open for Keane at the Greek Theatre in Los Angeles. He performed several Travis songs (including a great version of "Driftwood"), but also played several wonderful new songs that are headed for a solo debut scheduled to be released in the fall. Here is the media release on that album. Based on the strength of the outstanding new songs he played last night (notably "As It Comes"), I can't wait to hear Wreckorder when it comes out Oct. 5, 2010. 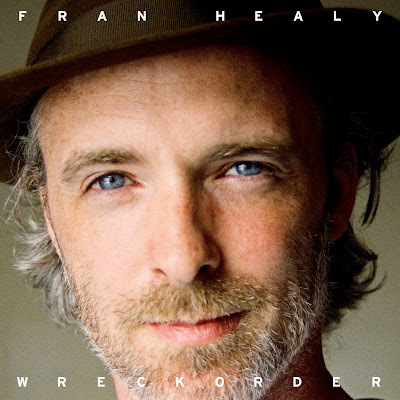 Fran Healy, lead singer and main songwriter of acclaimed Scottish rock band Travis, is excited to announce the release of his debut solo album WRECKORDER. Set for an October 5, 2010 release on Ryko, Healy’s first release on the label, WRECKORDER is the work of a quintessential pop songwriter. Known for songs such as “Sing” and “Why Does It Always Rain On Me,” among other hugely successful tracks, Healy has been recognized by Q Magazine, Rolling Stone, and NME, amongst others, for what Entertainment Weekly calls “a gorgeous mosaic of shimmering guitar pop.” Artists such as Coldplay, Noel Gallagher, The Doves and Gomez have cited Healy’s sophisticated and atmospheric arrangements as a major influence on their own sound. Recorded in Berlin , New York and Vermont, the 10 tracks that make up WRECKORDER are as exceptionally literate as they are emotionally challenging. The collection of songs includes the Neko Case duet “Sing Me To Sleep” which bounces over warm melodies and a syncopated drum loop, the soaring “In The Morning,” the playful but serious “Moonshine,” and the dramatic waltz of “As It Comes” which features Paul McCartney on bass. The end result is the sound of a songwriter who embodied the spirit of Britpop and continues to artistically evolve. Healy began his North American tour with Keane Tuesday, July 20th, in Oakland , CA. The dates will see Healy performing this new material, as well as classic Travis songs, in a solo acoustic setting. In addition, Healy will play solo acoustic shows along the West Coast. Tour dates below. Tuesday, August 3, 2010; 8 p.m.
Join as The GRAMMY Museum welcomes prolific jazz guitarist Lee Ritenour to the Clive Davis Theater. Before an intimate audience of 200, hear Ritenour in conversation about his diverse musical influences, impressive collaborations, and astounding guitar techniques. Afterwards, Ritenour will take questions from the audience and sign copies of his newest album, 6 String Theory. GRAMMY Foundation and MusiCares Vice President Scott Goldman, a great guitarist himself, will conduct the interview. Doors open at 7:30pm. Tickets are $12 and can be purchased in-person at the Museum Box Office, through Ticketmaster.com, or by calling 1.800.745.3000. On July 21, 2010, Ritenour and Dave Grusin will headline the Hollywood Bowl with special guests Taj Mahal, Keb Mo , and John Scofield. For more information, please visit www.hollywoodbowl.com. Tuesday, August 17, 2010; 8 p.m.
Join Executive Director Robert Santelli as he interviews legendary heartland singer-songwriter John Mellencamp the same day his hotly-anticipated new T-Bone Burnett-produced album, No Better Than This, is released. Before an intimate audience of 200, hear Mellencamp in conversation about his remarkable career, inspiring social activism, and the unique circumstances and locations that provided context for the new album. After the interview, Mellencamp will take questions from the audience and perform a few of his songs in a truly unique setting. Doors open at 7:30pm. American Express presale tickets are $40 and can be purchased on Ticketmaster.com starting Thursday, July 15, 2010. Ticket purchase also includes a copy of the new album. American Express is the exclusive payment method for presale tickets. All proceeds benefit The GRAMMY Museum. SEATTLE — Pearl Jam rolled out their new music video “Amongst the Waves” June 30, 2010 in conjunction with the launch of Pearl Jam’s new web page www.pearljam.com/oceans. The third single from Backspacer, the “Amongst the Waves” video launch is part of Pearl Jam’s larger effort to highlight www.pearljam.com/oceans and raise awareness on the efforts of various organizations working diligently on ocean preservation. Since the release, the video has been viewed by hundreds of thousands of fans and has been picked up and shared broadly with over 100 websites embedding it directly including National Geographic, Greenpeace, Oceana, Treehugger, VOLCOM and PlanetGreen.Discovery. Available now on iTunes, proceeds from the US sale of “Amongst the Waves” benefits Pearljam.com/Oceans partner organization Conservation International's Marine Programs. Internationally, Universal Music/Island Records has also agreed to donate proceeds from the International sale of the video in participating territories for the next six months. 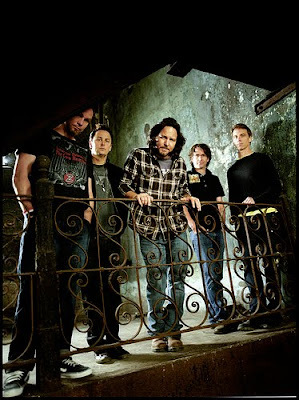 Created by Pearl Jam’s partners at VOLCOM and Trixie Films, “Amongst the Waves” continues to stream for free at www.pearljam.com/oceans and www.worldmusic.nationalgeographic.com. For more information on Pearl Jam’s Ocean campaign and a complete list of Pearl Jam’s environmental partners, please visit www.pearljam.com/oceans. For more information on Conservation International’s ongoing efforts, please visit www.conservation.org/marine. U2's postponed North American 360° dates have now been rescheduled for Spring/Summer 2011. Check out all the dates and cities. With Bono's recovery from back surgery, the band are getting ready to open up the European leg of the tour in Turin next month. On the eve of their return to the stage, they've filmed a message for everyone at U2.com: 'Thanks for standing by us'. Just a quick note that the U2 dates originally scheduled to play out in Anaheim, California on June 6 and 7, 2010 have been set for Friday, June 17 and Saturday, June 18 in 2011. Hope to see many of you at Angels Stadium next year! The upcoming episode of 'Live from the Artists Den' on PBS-TV features a performance by Ringo Starr with Ben Harper and Relentless7, as well as special guest Joan Osborne. 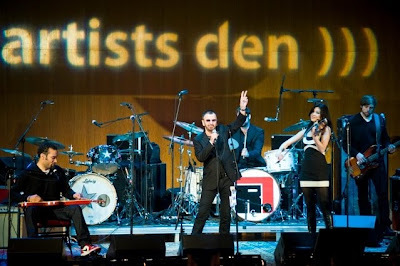 With Ringo Starr having just celebrated his 70th birthday on July 7, what better way to celebrate the legendary drummer-singer-songwriter than by tuning into watch him headline on the season premiere of “Live from the Artists Den” on public television this weekend. 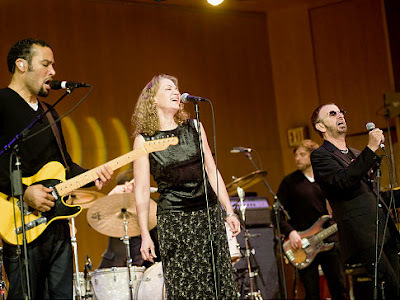 Los Angeles’ KLCS-TV will air the episode, which kicks off the second season of “Live from the Artists Den.” In addition to Starr performing with Ben Harper and his band Relentless7, Joan Osborne provides additional backing vocals. If you live in Southern California, you can catch that episode at 10 p.m. on Sunday night, July 11. I recently was able to view the show, taped at The Metropolitan Museum of Art in January 2010, and the concert finds the former Beatle in a decidedly-introspective mood. The loose and rollicking concert selections are the main draw, but the interviews with Starr (and those where he and Harper discuss their concert collaboration together) are equally illuminating. If you are a fan of Ringo Starr, or Ben Harper, tune in and turn the volume up. Singer and harmonica player John Németh has been turning lots of heads lately in the music world, and now he's been discovered by Hollywood. He will sing and appear in an upcoming episode of "Memphis Beat," a new television series on the TNT network. Evyen Klean, music supervisor for the program, was looking for someone to sing a Howlin' Wolf song. After hearing Nemeth's recording of "Daughter of the Devil," John's original Wolf-like song, he knew he had his man. Originally, John was just supposed to record the vocal for the track, and an actor would later lip-synch to his recording for the cameras. But after witnessing John perform at the Los Angeles recording session, Klean lobbied the producers of the show to hire John for the onscreen role as well. So Németh headed off to New Orleans to face the cameras. Says Klean, "As soon as I heard John I knew he would kill 'Who's Been Talking.' His voice and harp playing just resonated the blues and of course he nailed it at the recording session. It was then it hit me, Geez John you should be in the show, and asked him if he wanted to be on camera...The whole scenario from start to finish was organic and honest, John's a true artist." 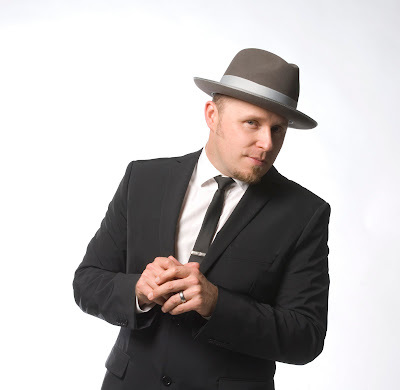 On the show, Jason Lee plays a quirky Memphis police detective with a passion for blues. Music plays a vital role in the show. In the words of co-creator Liz W. Garcia, "Music is a huge part of this show. It has to be. You can't live in Memphis and not have your life steeped in music." Németh appears in Episode 6 of the series, entitled "Suspicious Minds," which will be broadcast on July 27, 2010. The TV appearance is the latest media coup for the singer since the May release of his CD, Name The Day! He was just featured on National Public Radio's "Weekend Edition," recorded an interview for the nationally-syndicated "House of Blues Hour" radio program, and is scheduled to sing the National Anthem in front of a sellout crowd in San Francisco prior to a Giants-Dodgers game later this month. Ringo Starr celebrates his 70th birthday on Wednesday, July 7, and WFUV 90.7 FM (wfuv.org), will join the celebration by featuring the legendary drummer’s music all day. WFUV’s midday man, nationally-renowned Beatlemaniac Darren DeVivo, also promises to “sprinkle in a little something extra” -- whatever that means! DeVivo is consulted widely by the media for his knowledge of the Beatles and their music. On Wednesday evening, he will attend the All Starr Band’s sold-out show at Radio City Music Hall. WFUV 90.7 FM (wfuv.org), New York’s Rock and Roots public radio station, is a non-commercial, member-supported radio station, licensed to Fordham University for more than 60 years, serving approximately 250,000 weekly listeners throughout the New York metropolitan area and tens of thousands more worldwide on the Web. Founded in 1841, Fordham is the Jesuit University of New York, offering exceptional education distinguished by the Jesuit tradition to approximately 14,700 students in its four undergraduate colleges and its six graduate and professional schools. It has residential campuses in the Bronx and Manhattan, a campus in Westchester, the Louis Calder Center Biological Field Station in Armonk, N.Y., and the London Centre at Heythrop College in the United Kingdom. New York, NY —The acclaimed, innovative music series "Live from the Artists Den" launches its second season with a once-in-a-lifetime performance by the legendary Ringo Starr, backed by folk-funk star Ben Harper and his band, Relentless7, plus special guest Joan Osborne at The Metropolitan Museum of Art. Checking out the official Web site for "Live From The Artists Den," it looks like a few of my other favorite artists are scheduled for season 2. Can't wait to see Ringo, as well as The Black Crowes, and Booker T. and the Drive-By Truckers in other episodes. For more information, visit www.theartistsden.com.